On a hot summer day, what can be more refreshing than a tall glass of pink lemonade? Sweet and a tad bit tangy. It's that perfect mix of water, lemons, and sugar. More natural than a soda. You don't have to worry about high fructose corn syrup here! 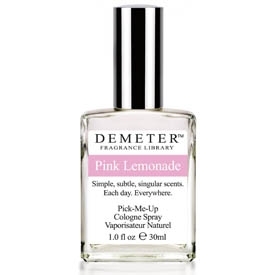 Our lemonade stand sells Pink Lemonade Cologne rather than the drink. Ours will last you longer and have you smelling Pink Lemonade sweet all day long. Go grab your bathing suit, a towel, your sun screen, and our Pink Lemonade Scent for a perfect summer day!